Since minecraft 1.10 a hopper showing in another chunk with it's end loads it. Do Hopperducts have the same feature ? Having an issue with the latest version (1.5) on mc 1.12.2. No matter what inventory I hook the ducts up to they don't output, they will only output to other ducts. Nevermind, seems this is only an issue with Modular Machinery inventories. 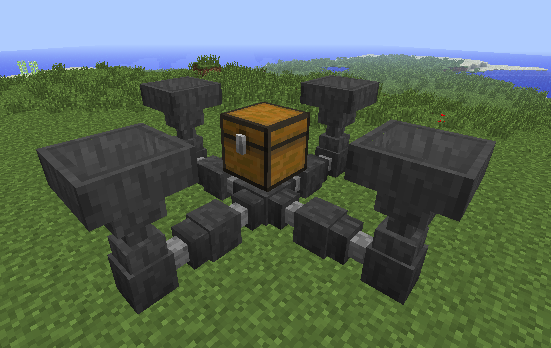 I am sorting the drops from a skeleton Spawner / Grinder. How can I pull out all of the bows with a grated hopper, regardless of the amount of damage on the bows? So far I have been able to sort out only bows with no damage. BIG fan of this mod. For the above issue would it be possible to add the ability to ignore durability in the cfg file for tools and weapons? I get the need to discriminate color data and potion types, ect. but some things like % of durability are practically impossible to accommodate sorting for every percentile that is possible. Sorry if I have misunderstood how the Grated Hopper works. Please enlighten me. I don't know if these are smart enough to handle metadata that way, but if they can't, you can at least use one or two grated hoppers to sort out all of the stackable items -- the bones and arrows and anything else they're dropping -- so that you get all of the bows and armor dropped into a storage system together for you to sort through. 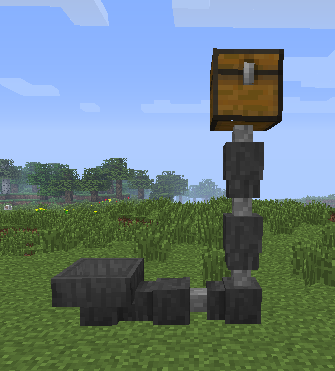 It's not ideal, and you'll want an overflow mechanic built in, but you can set it up so that it's a simple flip of a switch to drop all of the rejected items into lava when you've gotten what you want. How do the hopper ducts work with items from other mods? Will it still filter out the items? I'm having a problem with that. The grated hopper won't pull out the proper item. I've tried changing the cooldown time in the config file but it still doesn't work. I've tried it with both a regular hopper and the hopper duct? Can you add compatibility with the mod Upper? My man you did an excellent job with this mod. Will you ever add fluid transportation? 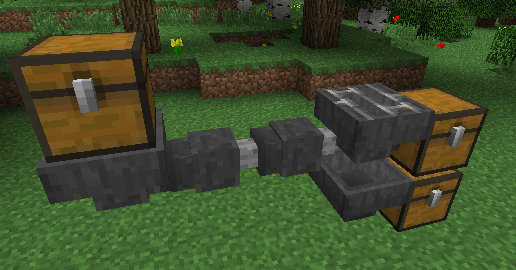 I have a (normal) hopper line with grated hoppers below them to filter out certain items. Items in the hopper line come only 1 at a time, yet it still happens sometimes, that an item that should be pulled by a grated hopper gets to the end of the regular hopper line. It happens rarely but it's still kind of annoying. Never mind it also seems to be happening with a default hopper set up to filter items. Kinda strange. That would be cool. Currently I just run a duct to a hopper on top of the network controller for input. Hello, we got the bug in version 1.5 for MC 1.2 ... Grather Hoppers does not control potions by species, and let them all once. Can you make the duct compatible with tinkers constructs 2 's fluids ? fluid hopper ducts and fluid hoppers. would that be possible for you to do? Hi. I was testing a new version of this mod and, in my opinion, it works great! You have no idea how I'm glad and thank you so much. :) I'm looking forward to version 1.12 ! Thanks you ! Awesome, and thanks for letting me know! The 1.12 update will be shortly. Nice to hear that. Good work! The new Version for 1.10.2 was uploaded incorrectly! If you download you will get the 1.11.2 version! I uploaded a 1.11.2 version as well to fix a different problem. Are you sure you got the right one?